Due to the 4th of July holiday, I am doubling up on the veggie posts—rutabagas/turnips for last week (25 weeks) and cucumbers in honor of the girls reaching 2 pounds (GGC, here. I was told, today that babies are actually 2 1/4 pounds each, which is the average size of a 28 week old fetus whoa) this week. Even though rutabagas are considered a late fall or winter vegetable (which is when they are harvested), they can be stored like potatoes in cold cellars so can be found year-round. At my local grocery store, I was able to find a couple of them just the right size in honor of R & B.
Rutabagas are rich in vitamins (especially beta carotenes) and are very popular in cold climates where they thrive. They can be roasted (yummy with other root vegetables), boiled, steamed, stir fried, used in soups and stews, eaten raw in salads (chopped or grated in slaws) and can be mashed. 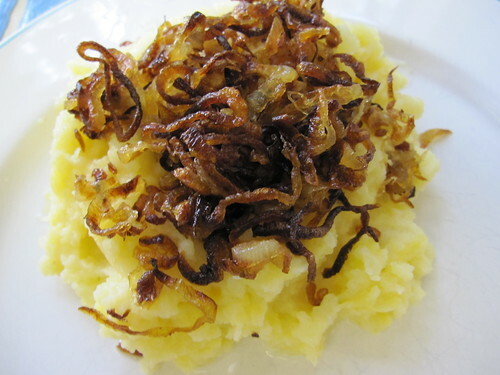 Ina Garten has a delicious recipe for mashed rutabagas, but it's pretty rich so I've modified it to make it a lighter. The shallots are amazing and would be good on anything. I use goat milk and much less butter than the original recipe calls for. Heat the oil and 2 T butter in a saucepan over medium heat. 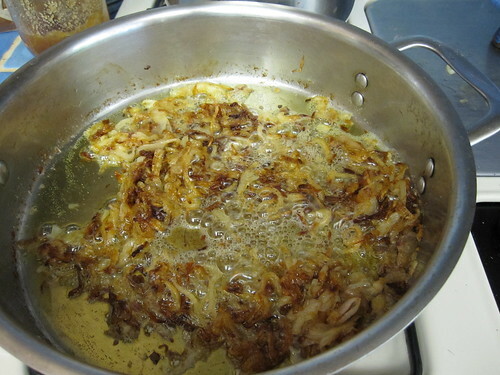 Add the shallots, and cook until they are a rich golden brown, 30 to 40 minutes. Stir the shallots occasionally to make sure they brown evenly. Remove them from the oil with a slotted spoon, drain well, and spread out to cool on paper towels. In a separate saucepan, heat the milk and 2 T butter over low heat until the butter has melted and the milk just begins to simmer. 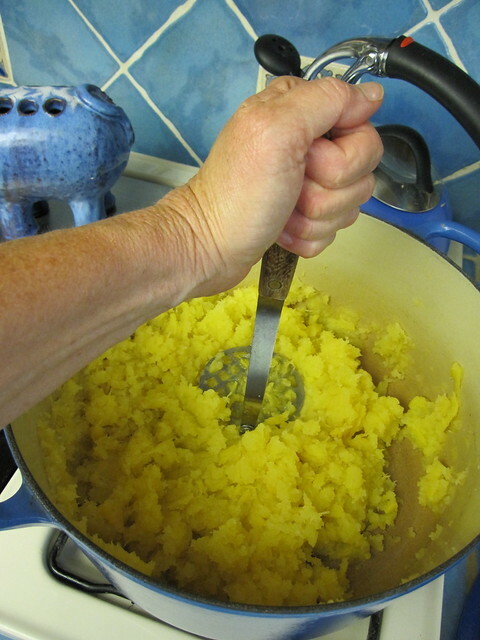 Puree the turnips in several batches in a food processor fitted with the steel blade. With the motor running, add the melted butter and milk in a steady stream. The turnips should be smooth. 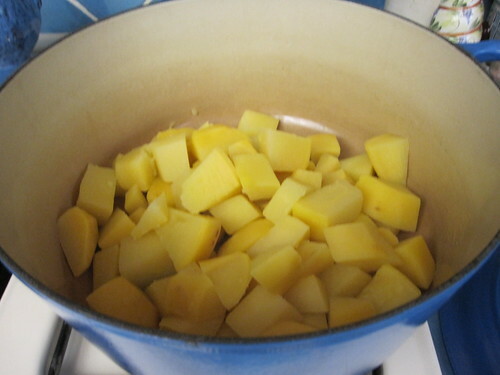 (You can also mash with a potato masher but they will be coarser in texture). 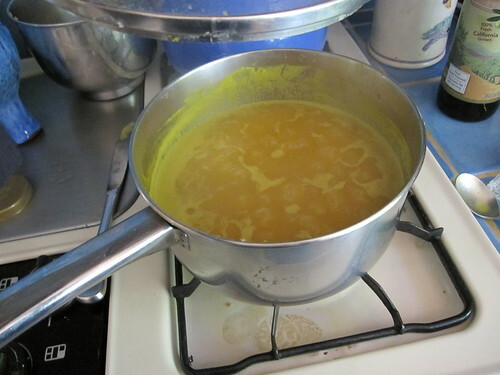 Return the puree to the saucepan, season with 1 teaspoon salt and the pepper, and reheat, stirring, over medium heat. Check seasoning and add more salt and pepper to taste. Serve piping hot, sprinkled generously with crispy shallots. Rutabagas are great, but I have a lot of their cousins, the turnips, in my garden right now so I want to talk a little about them, too. 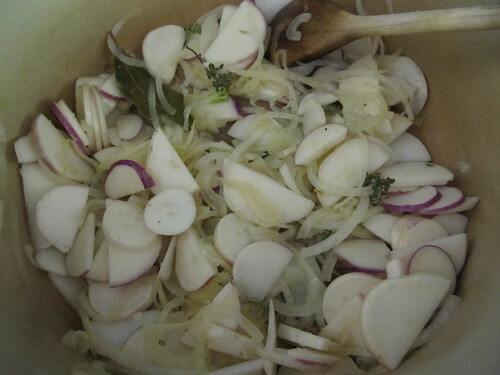 You can pretty much interchange recipes between rutabagas and turnips (rutabagas are often called yellow turnips) but the flavor and consistency is different. Rutabagas are a cross between cabbages and turnips and are starchier and sweeter than turnips. Turnips, on the other hand, are related to arugula and radishes and have some of their heat. 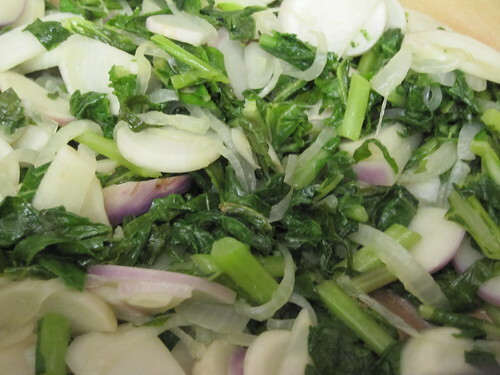 What I love about turnips, though, is that you can eat the greens, too, which are absolutely delicious. And that means, two vegetables in one. 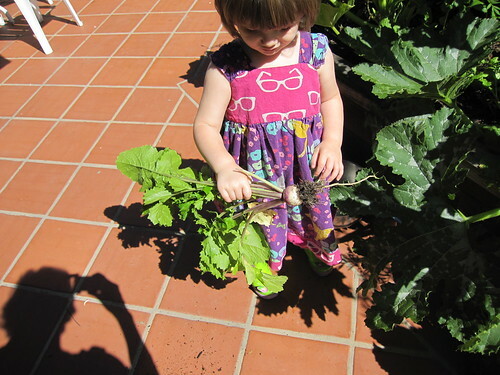 There is nothing more fun for children to grow than turnips. I know…turnips have a really bad reputation. Even the name makes you want to wrinkle your nose, but I have grown to love them, especially when home grown and harvested young. 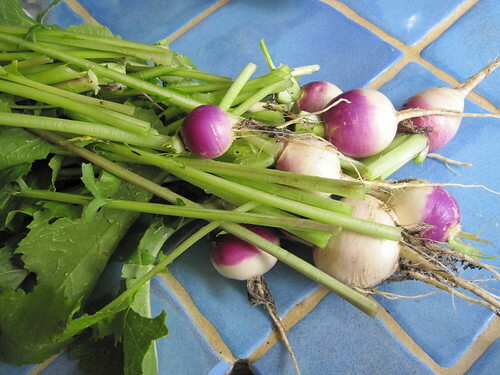 Growing turnips is much like growing radishes…except they are much bigger. The seeds are fairly large and easy to plant, germinate quickly and grow quickly, too. Like, radishes and carrots, they are fun for kids to pull out of the ground and in Southern California can be grown year round. You don’t need a lot of space to grow turnips. They are easy to grow in large pots…just thin them so they have plenty of room around them or the root won’t develop into a nice fat bulb. You can also grow them just for their greens. If you do that, you don’t have to thin out the rows. I like to dot them all over my garden and keep planting them now and then so we have a steady supply. If you harvest them when they are young and small, you can stir-fry them together (cook the roots and a sliced onion for a few minutes before adding the chopped greens) in olive oil or butter and fresh herbs, and season with salt and pepper or herb/salt mixture. 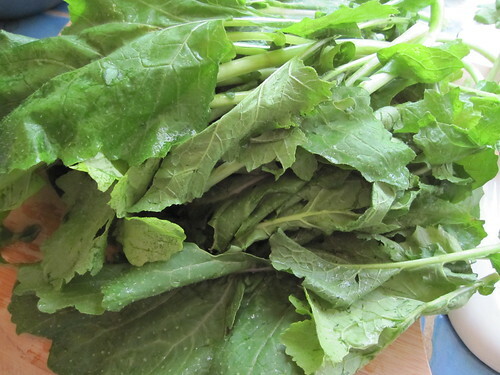 Look for small ones with the greens attached in farmer’s market as they are tastier and you don’t need to peel them. The ones in the larger grocery stores are usually larger and denuded of their greens. What a shame that is! If you want to cook the greens by themselves, just sauté with garlic and olive oil, add some fresh herbs, and sprinkle with salt and pepper. Or you can add some ponzu or stir-fry sauce at the end. You can add them to any grain dish or substitute for spinach in any recipe. 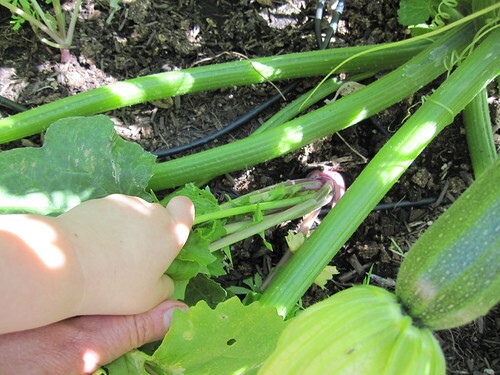 As to the root, I like to chop them up and put them in my salads or stir-fry them with other vegetables. They add a nice texture and flavor to any one of our vegetarian feasts. 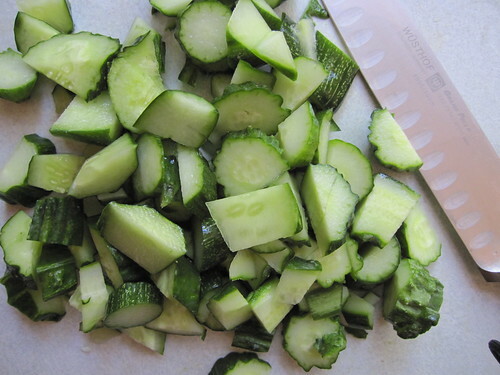 I love homegrown cucumbers. 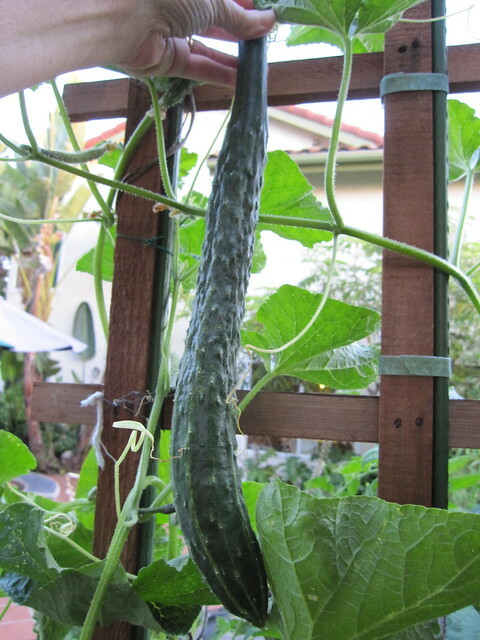 This summer I planted six Japanese cucumber plants and now I have cucumbers coming out of my ears. 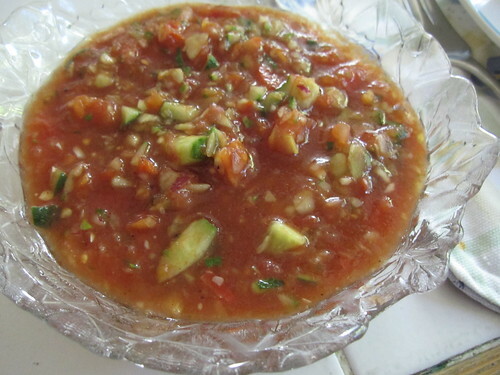 Another great soup to make utilizing cucumbers and other summer vegetables is gazpacho. It’s easy and wonderful on a hot day! 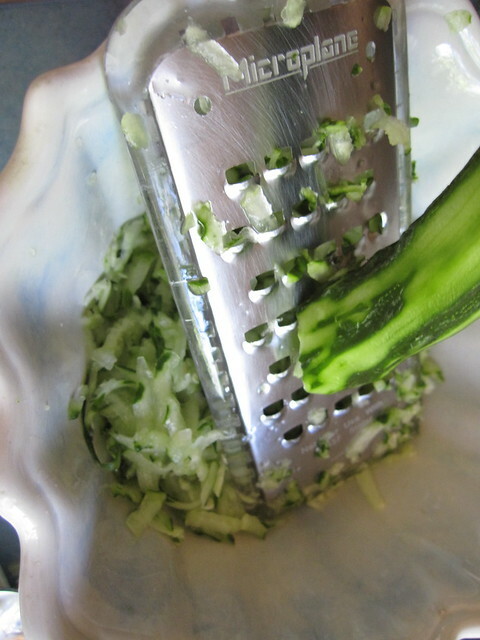 Cut first five vegetables into roughly 1 inch pieces and pulse separately in a food processor with steel blade until coarsely chopped. 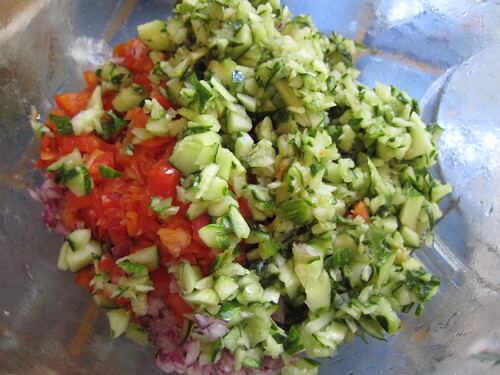 Add them with other chopped veggies together in a bowl. Add all other ingredients, stir, and refrigerate for at least 2 hours. Serves 6. Can be easily doubled. 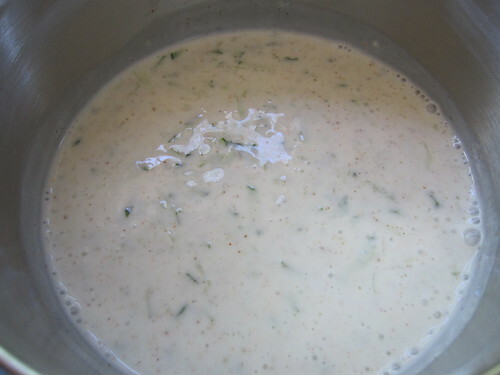 Raita is a yoghurt cucumber side dish for spicy Indian dishes. Tonight I made it to go with Lal Dal (Red Lentils, recipe included below). 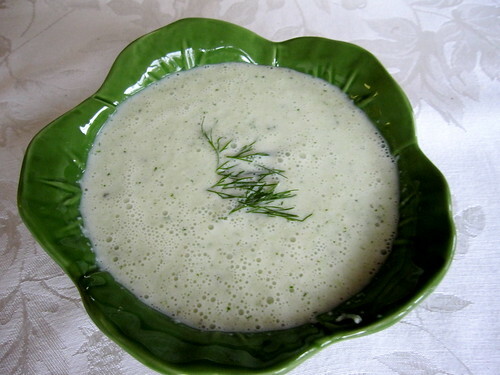 It is very refreshing for summer and can also be served as a soup. 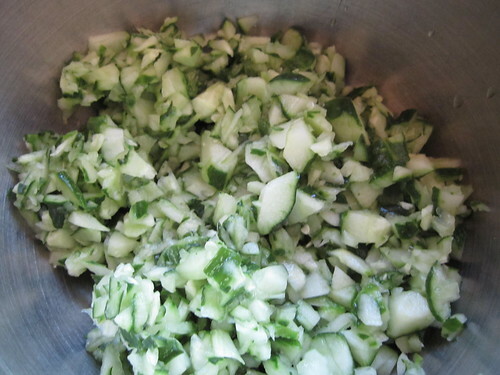 Squeeze water out of grated cucumber. Combine all of the ingredients. Chill. 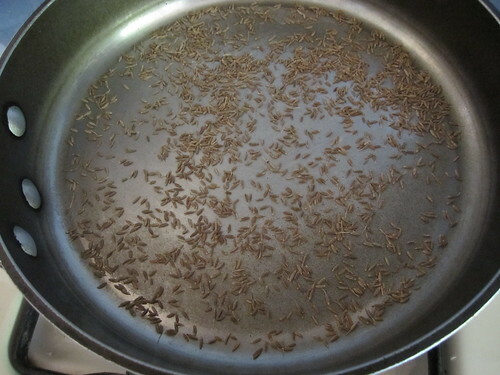 *To dry roast cumin seeds, put seeds in a hot pan and stir until aromatic and brown, about 3-5 minutes. 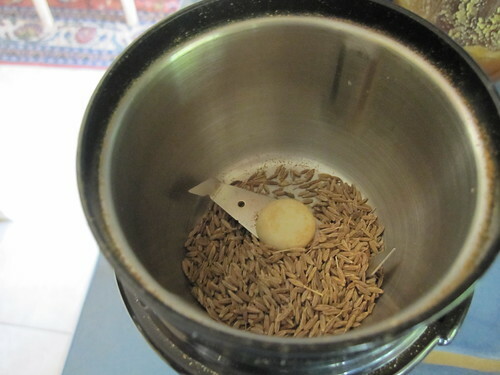 Let seeds cool on a plate and then grind in a spice grinder (I have an extra coffee grinder that I use only for spices). 1. Place lentils in a medium-size saucepan with the water, turmeric powder, and salt. Bring to a boil on a high heat. Reduce heat as froth starts to build up. Remove froth from the surface as it builds up. When froth subsides, turn down heat to low. Partially cover and cook until they are soft and turn into a soup-like consistency, about 15-20 minutes. 2. In a small frying pan, heat ghee on medium heat. When hot, add cumin seeds to ghee, soon followed by the chilies and onions. 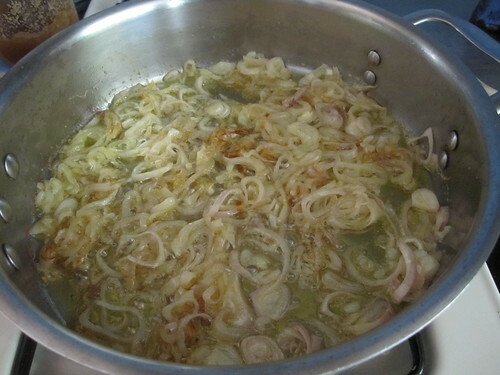 Cook until onions become soft. Add chili powder and tomatoes. 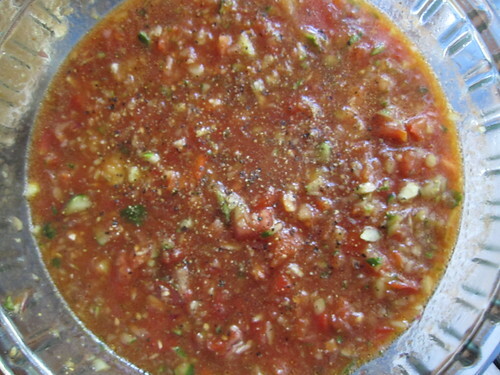 Cook for another 3-4 minutes or until tomatoes are soft. Add to lentils and simmer for another 10 minutes. 3. Add lemon juice and garnish with cilantro. Serve hot. 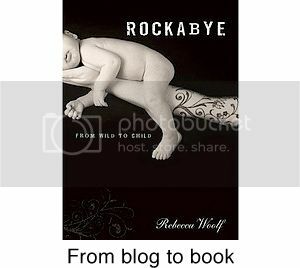 Rebecca- the post says "written by my mom GGC", it should say WWW, right? Love this post. 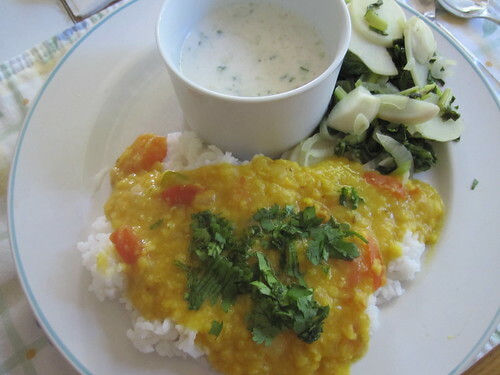 The food looks great, I adore dal and am going to make that tomorrow for dinner! WWW---do you have any veggie friendly BBQ recipes? I pretty much try everything you post, always tasty thank you! All recipes looks yummy! I'm not familiar with Rutabagas but I guess it's delicious.I love cucumber it's so healthy .Kids will love it because of different recipes..
Off topic: Rebecca, do you ever check out rookiemoms.com? 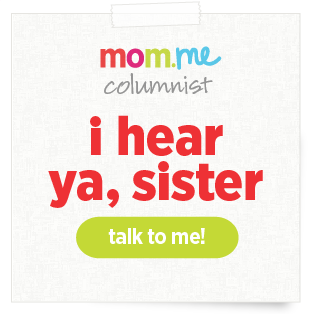 It's "twins week" there, and it seems like they have a lot of useful advice/insight/honesty from mothers of twins that you might enjoy. Oh, WWW. Please be my mom. You are so, so awesome. Have you guys ever considered a post about how to begin a vegetable garden? I love that both you and your momma grow some of your own produce! I would love to learn how you guys have such growing success. 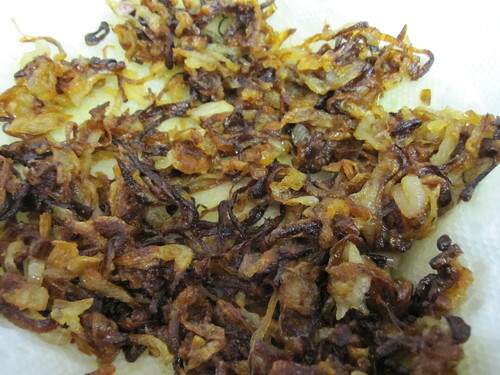 Amanda...If you want CRISPY shallots, it takes this long to make them crispy. You can make a lot and then store them in a container for other things if you want. I just put them in the pan to cook while I am doing other things and let them do their thing. 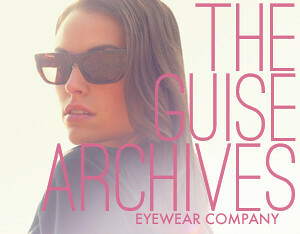 They are well worth the wait! Jules...I will do a post sometime on bar-b-qing veggies. Dranrab...you can go to my mom's website, www.patwelsh.com to find out how to grow a veggie garden! 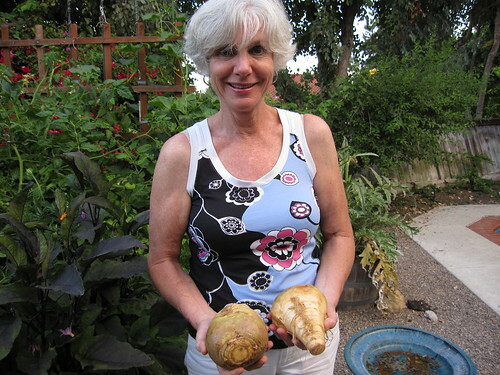 Dranrab - search "vegetable gardens" in my "search" area (sidebar) and you will see several tutorial videos/posts about how to plant a child-friendly vegetable garden, featuring my Nana Pat Welsh who is herself, a garden master, author, badass. Thank you for posting these wonderful veggie recepies! Great ideas that I wouldn't think of on my own and don't run across in my usual cook books. Dear WWW - I made your Gazpacho and it turned out beautifully! Thanks for the recipe and the inspiration! Love turnips! Have some from the grocery store in my fridge *and* I pulled a big old heap from the garden today! Just made the gazpacho tonight. We ate it with cheese and rye crispbreads. It was fantastic! 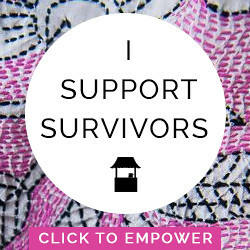 I would definitely make it again. We used regular V8 (low sodium) since it's the only brand I could find at my grocery. Thanks for the post. It's way too hot to turn on an oven or stove, so we were glad for the cooking break! Thank you for sharing the dal recipe. I made it and it was delicious.